Just had a new article come out this week, exploring more about Carol’s story as a forgotten Canadian writer, and the heartbreak and situation from where this movie idea emerged. Hint: it stars me, living in a basement. If you’re not a literary buff, the name Julio Cortázar may not mean much. But by those who are familiar with his work, he has been called a “modern master of the short story,” and is known as one of the major figures of the Latin American Boom of the ‘60s and ‘70s. In the late ‘70s, he fell in love with Carol Dunlop, an American writer, translator and photographer who lived and worked in Montreal. 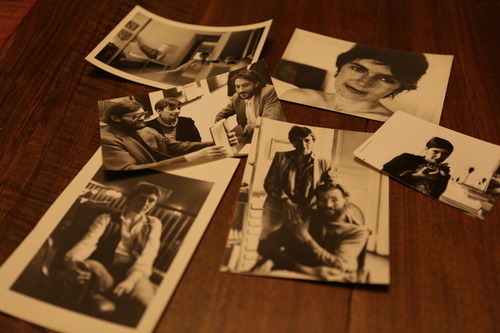 Dunlop served as Cortázar’s muse and the pair wrote a book together, Autonauts of the Cosmoroute, during a road trip through France. While Cortázar and his writing have staked out a secure spot in history, Dunlop has faded into the background — she’s remembered in relation to her famous husband, and for her tragic death. Tobin Dalrymple has set out to tell her story and unearth more about Dunlop and her life in Montreal with his documentary Julio & Carol. We spoke to him last week about the film’s development and his research process. Kayla Marie Hillier: Why did you decide to explore the relationship between Cortázar and Dunlop? Tobin Dalrymple: It all started about 12 months ago. I had an Argentinean fiancée and we were very close regarding Cortázar. We shared a love for his books — I even called her the same name that Cortázar called his wife, which was osita, which means “little bear.” We had a really bad break-up and it was really sad. And — one of those things you do — I went and bought their book that they wrote together [Cortázar and Dunlop] and I was sitting there reading this beautiful love story while going through my break-up, with this character who had the same name as my girl, which was terrible — but also really beautiful and really inspiring.